If your business operates in more than one country, you can either come up with separate principles for how you sound in each target market — or you can save cost and improve consistency with a global tone of voice. Enough Said associate Sabine Harnau explains how to hit the spot locally while bringing your universal brand essence to life. If you’ve ever read an Asterix book, then you’ve experienced one of the best examples of a global identity in action. Appearing in over 100 languages, all the characters’ names play on words and idioms. Take Bicarbonatofsoda, for example, the therapist’s receptionist. Known for her unfazed serenity and awesome note-taking skills, she’s practical, reasonable and handles whatever the patients throw at her: just like the stuff she’s named after. Her original French name is Boufiltre, alluding to filter cigarettes – while she’s known as Gibtermine in German, literally ‘give appointments’. This plays delightfully on stereotypes and shared practices in the cultures of the target languages. Adapting a verbal brand has lots in common with translating Asterix. A great slogan relies on the relationships between its words. It draws on culture and linguistics to create a certain effect. And this has implications for making a tone of voice work globally. A tone of voice guide in English that recommends conversational language may explain that this means using contractions (that’s rather than that is) and more informal expressions. But it’s not designed to offer advice on using simplified or traditional Chinese, or on adding modal particles to German copy to make it sound conversational. As a result, writers in other languages often have to interpret tone of voice guidelines themselves, and they decide many important details in isolation. Not only can this erode the consistency of your local messaging as writers change — you might also spend a lot on translations that aren’t up to scratch and may undermine your global brand image. 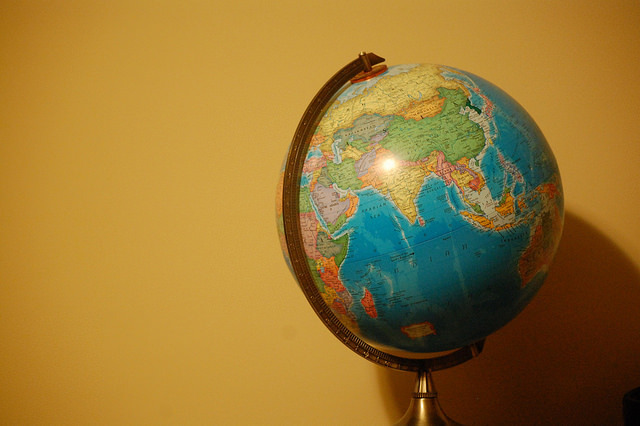 Here’s how to create a global tone of voice that sticks. 1. Start off with a thorough tone of voice guide in the language your brand calls home. This could be the language of your biggest market, or the one where you started out. For example, Audi might choose German. At Enough Said we tend to start with English, as it’s the global language of most our clients. 2. Get staff in the target culture on board early on in the process. Train them in your English tone of voice. Explain you’ll be working with an external expert, and that they’ll have the chance to contribute throughout the project. Anyone who’s considered a guardian of your brand should play a role in reviewing your local tone of voice guide. To keep things manageable, think about creative ways to include your foreign teams and help them feel included. For example, you could put up posters and stalls in your offices, run local tone of voice PechaKuchas or have each office choose a tone of voice champion. 3. It’s important to have a language expert looking into your company from the outside — their point of view will make your foreign copy sparkle. Ideally, work with the same agency that created your English tone of voice guide, as they already know you and your verbal identity. They’ll usually be able to bring specially trained foreign writers to the project, whose experience and creative skills allow them to go beyond straight translation when adapting your tone of voice principles. 4. Give each foreign language writer on the project the chance to interrogate and understand your English tone of voice guide. If they ask clarifying questions, that’s a very good sign. So the writer can get a feel for your business and how you work, it’s great if you can be available to answer some of them directly — for example on a conference call. 5. Each writer should then be able to create a tone of voice guide for their target language. Expect several drafts, and ask the writer to explain their rationale, including how a straight translation of your English tone of voice might be perceived in their culture. 6. If your brand guardians and your writer struggle to agree on some details, work with focus groups and surveys to test the writer’s ideas directly in the target market. For example, you may need to find a way to politely address customers while staying true to your brand’s personality. Linguists call this the tu/vous distinction between languages. English and Danish are easy, because there’s just one pronoun for you. French has the formal vous and informal tu. Some languages, like Dutch, are moving away from this distinction. Before deciding your strategy, it’s a good idea to see what other brands are doing. Do you want your brand to fit in or stand out? What other ways could you express a fun and slightly irreverent brand while addressing the customer as vous? You can also test different versions of the same copy in a double blind survey, or run focus groups to find out if people get what you want to portray. Customer service teams often have great insights, too. It’s worth investing time and effort at this stage to make sure you have a sound foundation for every brochure, bill and website your writers need to create later on. 7. The resulting tone of voice guide will be the basis for new copy in the other language. Your existing English literature will serve only as a guide, and your other-language writers will write copy from scratch to evoke the same feeling as the original. 8. Show the results to your brand guardians in your target market. Create opportunities for them to share feedback. Make sure there’s always a solid rationale for difficult decisions — if in doubt, keep testing ideas with focus groups or through surveys, and keep an eye on how your new copy performs. Following these steps will help you to make sure your brand voice principles are backed with solid techniques and examples that really bring them to life in other cultures and languages. And this will help you equip writers in other countries to make sound decisions and choose the right words for your business. Sabine Harnau has worked on tone of voice with some of the biggest global brands. While leading the LEGO service editorial team, she created a global tone of voice for more than 20 markets, from Austria to Thailand. She now puts her tone of voice and customer experience know-how to good use at From Scratch and helps with global tone of voice roll-outs at Enough Said.